Designing and manufacturing packaging solutions for logistic of automobile parts is one of our capabilities. 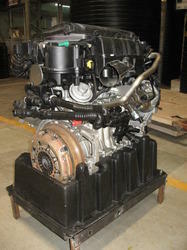 Engine cell is used to handle cells. One of our first customer in this segment was Ford. 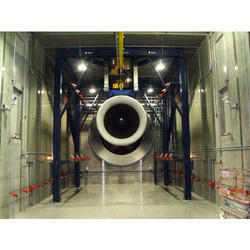 Our company has gained name and fame in presenting Engine Test Cell. ARK Manufactures Room Acoustic Test Cell For Turbine and Noise control treatment for Compressor Houses with Transmissions Losses of up to 35 dB Without Concrete wall backing and 50+ dB with Concrete wall backing. Dimensions: 160 mm x 160 mm x 85 mm (LxBxH). Vehicles undergoing endurance and emission tests generate large sensible heat .We install systems that control temperature and specific humidity at required levels and also have systems for engine exhaust as well. - Dynamometer (usually eddy current type) with toqrue weighing mechanism. o Remote engine controls like speed, start, stop etc. Dynamometer (usually eddy current type ) with toqrue weighing mechanism. - Remote engine controls like speed, start, stop etc.